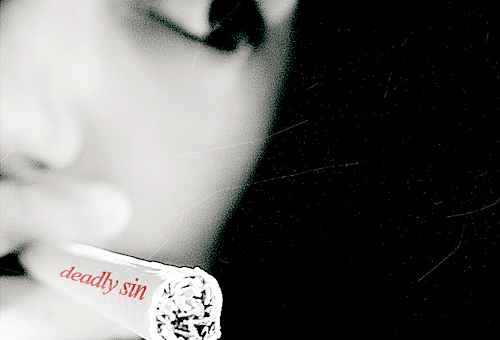 ... to Deadly Sin, a hatelisting for Cigarettes. This hatelisting is listed at The Hatelistings Network (under Narcotics, Tobacco & Drugs) and is part of I Am... Fan. Feel free to take a code and join if you're like us; haters.. According to HL.net, "A fanlisting is a listing of people who are a fan of a certain subject, therefore, a hatelisting is a listing of people who hate a certain subject." This hatelisting is fan based and non-profit. Layout & coding by Marie-Olga. Do not reproduce without permission. No copyright infringement intented.